Property 1: New cottage by the sea for rent. Boat can be rented! Property 8: Great cottage for rent in beautiful Nordhordland. 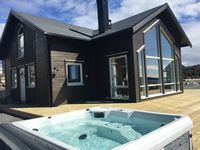 Close to sea, with terrace and whirlpool. Western Norway Norway. Unusual architectural style cottage. Peaceful setting. Close to water. Property 12: Western Norway Norway. Unusual architectural style cottage. Peaceful setting. Close to water. Property 24: Great family friendly cottage by the sea. New modern cottage with great facilities. Property 25: Pepes Apartment - Central apartment in a beautiful area in Bergen. 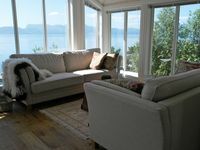 Property 32: Beautiful House With Fantastic Sea View Right Outside Bergen City. This is a gorgeous, very clean house with a great location! Elin has great communication and is very accommodating. My family and I would definitely recommend this house and we hope to be back again ourselves some day!